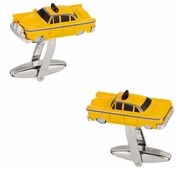 Would you like to show your appreciation for New York by sporting a Yellow Taxi Cab all right there on your wrists. 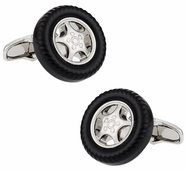 Any motor-head will enjoy the extensive selection here at Cuff-Daddy. 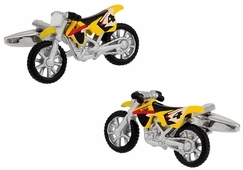 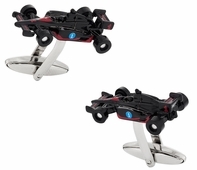 You can show your delight in formula one racing, drag racing, and NASCAR or perhaps your mechanic skills through the racing disc brakes, dual exhaust and the stunning steering wheels. 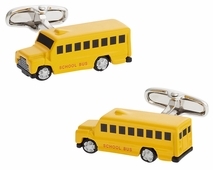 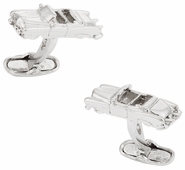 Take a walk down memory lane with the Hippie Bus or perhaps remember your time in the Army with the Army Vehicle cufflinks. 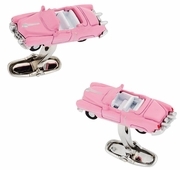 Nothing is forgotten in the automobile category not even the speedometer or the Pink Cadillac made famous in the song. 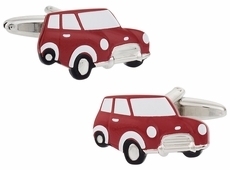 OK, I admit it, I love cars. 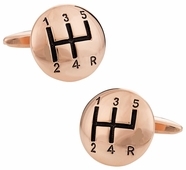 Something about shifting gears in a sports car is so appealing to me. 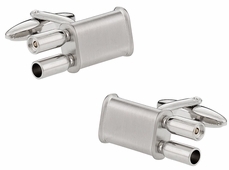 The rumble of the exhaust as you downshift to pass the slowpoke in front of you is music to my ears. 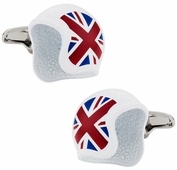 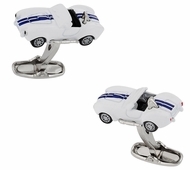 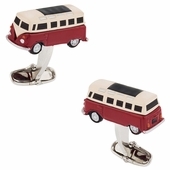 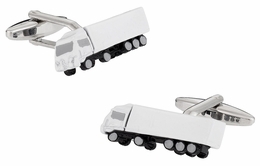 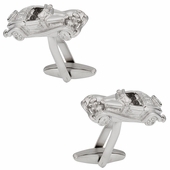 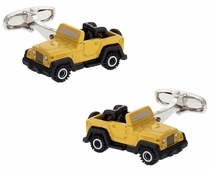 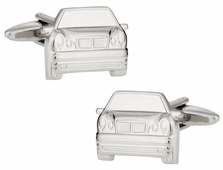 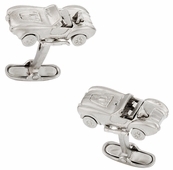 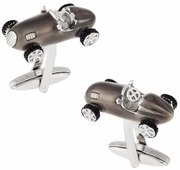 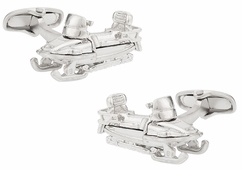 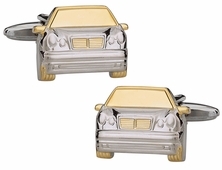 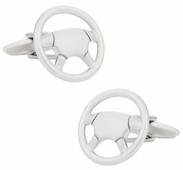 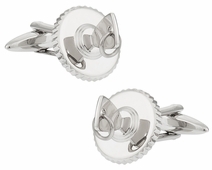 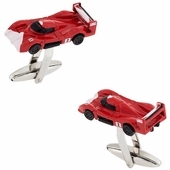 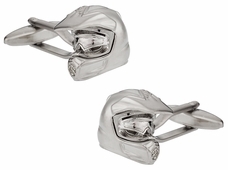 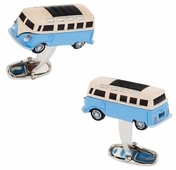 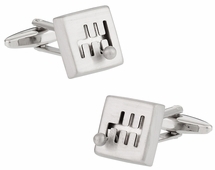 As such, we've got some great automotive cufflinks and car cufflinks to suit your style. 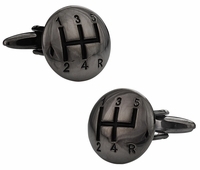 I love the 6 Speed sterling silver gearshifts the best. 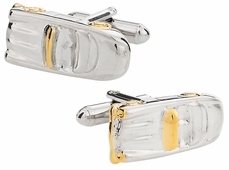 As sterling ages, it develops more and more character, just like a worn in baseball mitt. 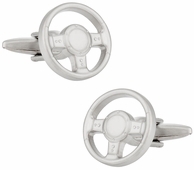 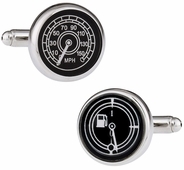 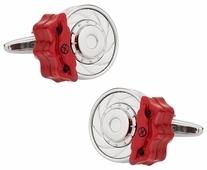 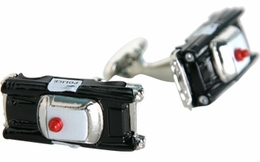 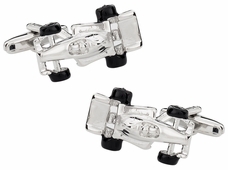 Gearshift cufflinks make a great gift idea because it doesn't narrow down your selection to a single car. 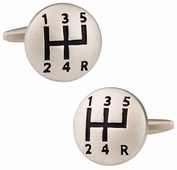 Most cars have a version with a 5-speed or transmission. 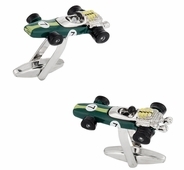 Our customers love our F1 Racecar designs too. 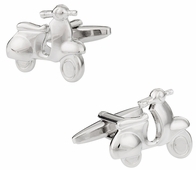 Either way, if you are looking for a great gift idea for the man in your life, you are in the right place. 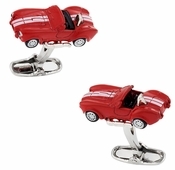 The saying that "you are what you drive" has never been so wonderfully depicted with automotive cufflinks from Cuff-daddy.com. 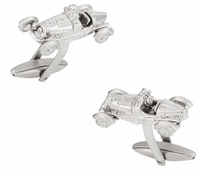 Your links can help you aspire to that beautiful luxury car by ensuring you never forget what you desire. 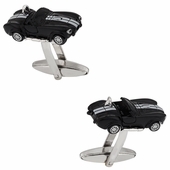 If you already have the antique roadster in your collection or perhaps the black cobra race car, you can do more than simply show it off in the parking lot you can show your deep appreciation for fine automobiles directly on your wrists. 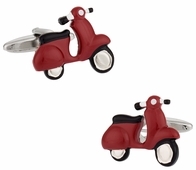 Perhaps you have a Vespa Scooter and it is time to upgrade to a Chopper Motorcycle? 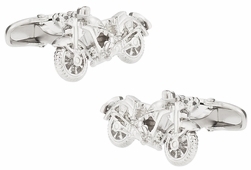 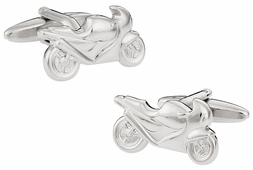 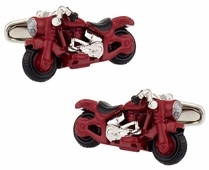 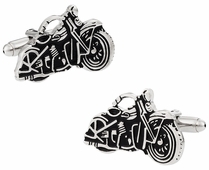 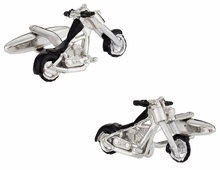 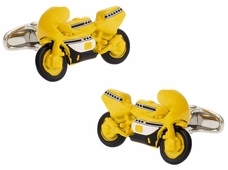 With a range of bikes going from pedal bicycles to the very powerful Harley's, you can have a motorcycle cufflink or car cufflinks set for every day of the week or even month.